Girls and boys ages 4 and up are invited annually to come try ice hockey for free!! This event is held annually on a Saturday in the Fall at the SUNY Morrisville Iceplex. Please check the site for coming dates and times for this event. Kids will get the opportunity to hop on the ice and experience the fastest game on two feet! Center State coaches will be on hand to give the kids a feel of what a typical practice is like. While we will have some equipment available, it is suggested that all kids bring a helmet (bicycle helmet is fine) to wear on the ice. Hockey players have fire in their hearts and ice in their veins. In an effort to find ways to improve our program for the benefit of all our kids we have run a Introduction to Hockey Program in the Fall. 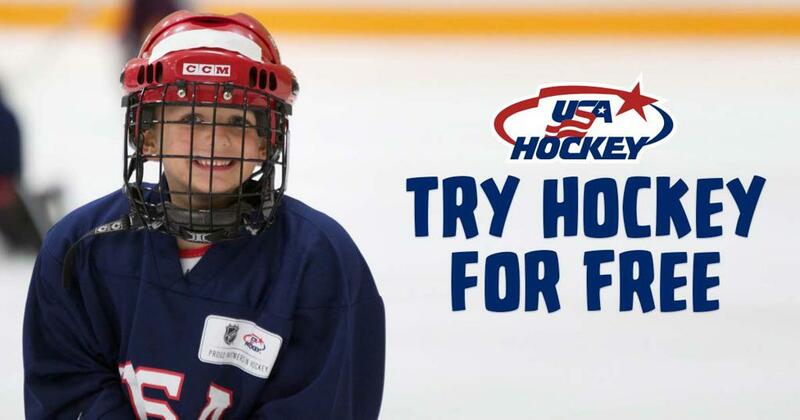 The "INTRODUCTION TO HOCKEY" program is for kids ages 4 to 6 and it is offered as a low cost program geared for those kids and families that are new to skating and hockey and would like to "test the frozen waters" before jumping into the fastest game on two feet. Kids will be introduced to skating over the course of four ice times to get them ready for Session 2 of our Learn to Play Program. The Introduction to Hockey program is normally followed by Session 2 of Center State's Learn to Play Program which normally begins during the first week of January. Forty-five minute ice times are usually Saturday mornings (9:00 or 10:00 typically) and Monday nights (6:15). No prior skating or hockey experience is necessary. Teaching kids how to skate is what we do! Our focus is providing a fun, safe, and exciting experience for all kids to learn how to skate and to begin learning the basic skills of ice hockey. We will play some “hockey” the last ice time of Session 1 and the last few Saturday ice slots of Session 2. These games are NOT our focus. Our focus is F- U-N! We may add in a little skill development along the way. Learn to Play registration is done on the website and normally opens up after the first board meeting in September annually. Discounts are given to those who register for both sessions.